Make sure your mash is smooth, with no lumps, then add the icing sugar gradually, mixing it in as you go. Keep adding the icing sugar until your potato mix becomes a thick paste. Roll out the mixture into individually sized oblongs, and place on a greaseproof-lined tray. Transfer to the freezer and leave to set for about an hour. For the coating, melt your chocolate in a heatproof bowl over a pan of boiling water. 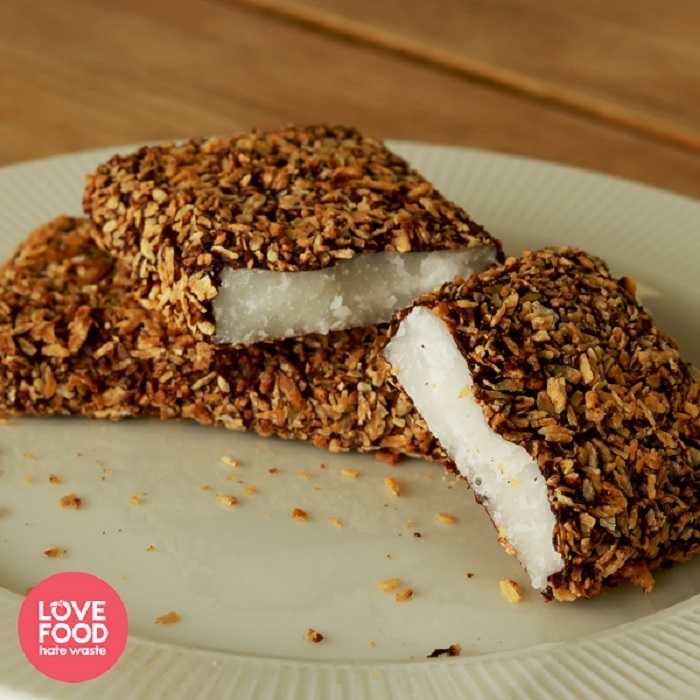 Roast half of the coconut by spreading out on a baking sheet in a pre-heated oven for about 3 minutes or until starting to turn golden. Transfer to a bowl and add the untoasted coconut. Take your macaroons out of the freezer, then dip them into the chocolate, roll in coconut, and place back on the greaseproof paper to dry. A Scottish twist on a Mexican classic, you can customise these wraps with anything you have to hand, from leftover neeps to fresh tomatoes. Are you a teacher looking for inspiration? We have a range of food waste fighting activities and curriculum-linked lesson plans to get your waste warriors geared up to make the most of the good food we love in Scotland. St Augustine’s C of E Primary School is topping the food-saving charts, having run over 25 sessions with local people, including 10 Cities cooking sessions in Manchester designed to reach parents through their children.